The first paramedic to join our staff was Mrs. Asuncion Villamar Pincay. (See photo “Our Beginning”). Mrs. Villamar underwent training with such companies as Pentax, Olympus and Cook Medical and has participated in many national and international seminars in this area. 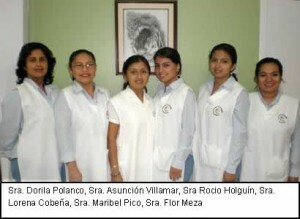 She is responsible for the maintenance and sterilization of our equipment and gives assistance during procedures. radiological endoscopy procedures and in other imaging processes. (manometry, ph-metry and breath tests). delivering reports and of general maintenance projects.